As Christmas and the Holiday Season have arrived again we take this opportunity to thank you all most sincerely for your trust and continued partnership during 2017. This year we again decided to make a charitable donation rather than sending Christmas gifts. So we have chosen "Weltweite Kinderhilfe e.V" , active in support of parentless, needy children in our home community. Klaus Schmidt/1st Mayor Waldbuettelbrunn, Udo Interwies, Gerhard Herderich/Chairman Weltweite Kinderhilfe e.V., Stefan Opis, Hans Lebahn. Entscheider aus Wirtschaft und Wissenschaft mit Unternehmen im Landkreis Würzburg zusammenzubringen ist das Ziel der Firmenbesuche von Landrat Eberhard Nuß (3.v.r.). Diesmal begegneten sich die drei Unternehmensgründer von Iludest mit Sitz in Waldbüttelbrunn, Stefan Opis (5.v.l. ), Hans Lebahn (6.v.l.) und Udo Interwies (7.v.l.) sowie Dr. Alexander Zöller (l., Technologie- und Gründerzentrum Würzburg), Bernhard Wallrapp (2.v.l., Leiter der Stabsstelle Landrat), Marianne Schlimbach-Reinhard (3.v.l., Agentur für Arbeit), Dr. Sibylle Holste (4.v.l., Kommunalunternehmen des Landkreises Würzburg), Michael Dröse (4.v.r., Leiter der Kreisentwicklung des Landkreises Würzburg), Max-Martin Deinhard (2.v.r., IHK Würzburg-Schweinfurt) und Bürgermeister Klaus Schmidt (r., Waldbüttelbrunn). The used lubrication oil re-refiner, Northern Oil Refinery (NOR) in Gladstone, Queensland/ Australia, is utilizing new technology to expand into the renewable fuels industry. Numerous crude fuel manufactures across the country generate crude fuel oil from a number of waste resources, including wood and cellulose waste, end of life tyres and biosolids from sewerage treatment plants. The crude fuels and oils will be sent to the new Biofuels Pilot Plant at NOR for further refining into a drop-in fuel, predominantly diesel. The Australian Renewable Energy Agency (ARENA) has provided funding for a specialised fuels laboratory, which will allow testing of the crude fuels for their suitability to be turned into a renewable diesel or “biofuel”. The new Biofuels Pilot Plant (refinery) at NOR will also allow existing refinery waste and residue to be converted into renewable diesel. Waste oils and old tyres are collected throughout the region as a feedstock source for manufacturing of the crude oils. Tyres will be thermally decomposed and the synthetic crude oils condensed as raw fuels. The raw oils can contain high amounts of water, nitrogen, sulphur and oxygen containing compounds as well as aggressive and sublimating multi-ring aromatic compounds found also in common crude oil components. ILUDEST/i-Fischer have designed, manufactured, supplied and commissioned two specially modified, tailor-made distillation units following the standards ASTM D2892 and D5236, which are well suited to manage the challenging chemistry of the mentioned crude fuels and oils. combines the capabilities of ASTM D2892 and D5236 (coal tar version), designed to deliver suitable distillation data and sample cuts for further laboratory analysis. This can be performed on a day to day basis to precisely and reliable adjust process settings to guarantee the smooth operation of the Biofuel (Pilot) Plant. The Australian Minister for Small Business, the Hon. Michael McCormack, praised the remarkable future concept of NOR at the inauguration ceremony in December 2016, which plans to accelerate the Australian Renewable Fuel industry through partnership with regional renewable crude oil producers and develop a Biofuel Pilot Plant inside Australia with the potential for exporting the technology overseas. The innovative business concept ties in a number of small producers and creates jobs across all of Australia while simultaneously reducing environmental problems through recycling of commercial industrial and domestic waste products. 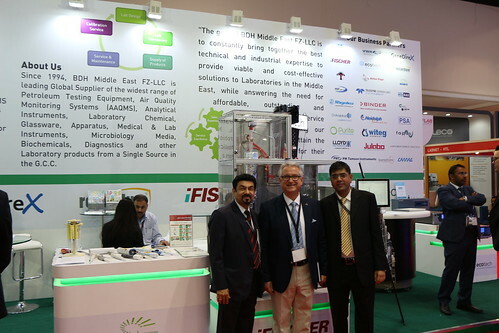 ILUDEST/i-Fischer, in close cooperation with our exclusive representatives for Australia and New Zealand, M/s John Morris Scientific Pty. Ltd., are proud to have been chosen by NOR as project partners and to join and support this innovative conceptual strategy and process technologies with our expertise and skills in the field of Thermal Process Engineering. Christmas time is upon us once again and we would like to thank you for your trust and your continued partnership during the past year 2016. This Holiday Season we again decided to make a charitable donation rather than sending Christmas gifts. So we have chosen "Hilfsfonds Waldbuettelbrunn" and "Nachbarschaftshilfe Waldbuettelbrunn", both active in support of needy fellow citizens in our home community. Stefan Opis, Klaus Schmidt/1st Mayor Waldbuettelbrunn, Tanja Hamberger/Head of Administration Waldbuettelbrunn/Boardmember "Nachbarschaftshilfe", Alfred Endres/ Former Mayor Waldbuettelbrunn/Chairman "Hilfsfonds", Hans Lebahn, Udo Interwies. A new Iludest distillation plant extends the limits of what is possible and enables the extremely pure separation of bitumen fractions in a packed distillation column — In this way the process engineers from Waldbüttelbrunn defy the thermodynamic limits of the ASTM Standards D2892 and D5236, and bring two seemingly incompatible requirements under one hat. Christmas time is upon us once again and we would like to thank you for your trust and your continued partnership during the past year. This Holiday Season we again decided to make a charitable donation rather than sending Christmas gifts. This year we have chosen "Station Regenbogen", an initiative located in Wuerzburg taking care of children suffering from cancer. 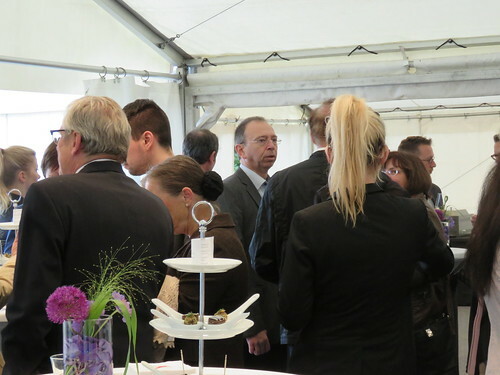 On June 20, 2015, the entire team of ILUDEST Destillationsanlagen GmbH had the pleasure to welcome about 100 guests at our premises in Waldbüttelbrunn for the official celebration of ILUDEST’s 25th anniversary as well as the presentation of the new company’s building extension. A very special “Dankeschön” to all friends and partners from around the globe joining our party. Hopefully you can manage to find yourself on one of the photographs attached. ILUDEST’s/i-Fischer’s activities in the branch “Thermal Process Engineering” were honoured by the international journal PROCESS’ Innovation Award during ACHEMA 2015 in Frankfurt. On the occasion of a ceremony on Tuesday, June 16, 2015, ILUDEST Destillationsanlagen GmbH were announced as the winners in the award category “Plant Construction and Process”. Please find a few impressions below. From June 15…19, 2015, the ACHEMA exhibition in Frankfurt has been the centre of the Chemical Engineering and Process Technology world. ILUDEST/i-Fischer were again participating (9th time), and had the pleasure to host visitors and guests from domestic and overseas markets, all showing a high interest in ILUDEST’s and i-Fischer’s range of products. We also had the opportunity to introduce to our clients and users’ community our latest developments in Thermal Process Engineering as well as our new team members. With pride we can also announce receipt of our second Innovation Award (after a previous Award in 2012, where it had been given to i-Fischer in the section “Thermal Processing” …), this time presented to ILUDEST in the section “Plant Construction and Process” (for more details please refer to the next “News” chapter), on the occasion of a ceremony on Tuesday, June 16, 2015, offered by the international journal “PROCESS”, a publication of Vogel Media Group. Please find attached a few photographs taken during these exciting days. “In 1990 we had a fortunate convergence in that Udo Interwies, a graduate in Process Engineering, and Hans Lebahn, a state-certified Electronics Engineer, decided to set up in partnership in Karlstadt and Kitzingen/Germany” not long after in 1995 Stefan Opis joined the Group to complete the Management Team. Now, after 25 years of continual development, always focused on new/improved products, markets, customers’ requirements, team qualification and building, ILUDEST has reached a level in market penetration, which makes us confident for the future while keeping the same idea of “forward thinking”, as has always been our philosophy. From 1990 we have developed a team which has grown to the current 32 persons. This “future” team, dedicated to our customers’ needs, is comprised mainly of younger people with up to 50% of these holding University degrees. 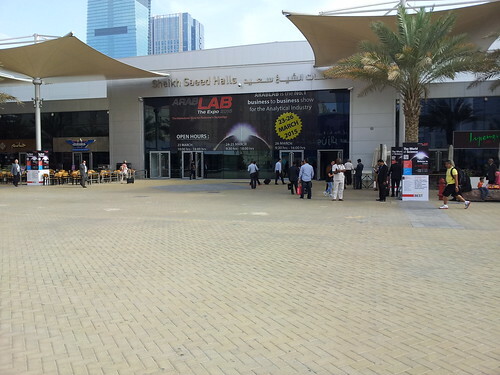 It is our ongoing aim to make our business processes more convenient and efficient for our customers. In the interests of putting this principle into practice once again, ILUDEST Destillationsanlagen GmbH has taken over all the shares in i-Fischer Engineering GmbH with effect as of 1 January 2015.
i-Fischer Engineering will be merged into ILUDEST Destillationsanlagen in the course of the first half of this year and continue its operations under the brand "i-Fischer®", "a division of ILUDEST®". This means that the existing range of i-Fischer products will remain unchanged and available to you in the future as well under the established product names with the same high standards of quality as before. This course of action also enables a sustainable succession arrangement for Dr. Hans-Eckhard Koenen who has until now been shareholding managing director of i-Fischer. Dr. Koenen will be joining the ILUDEST team as member of the "Engineering" division staff. The former shareholders Intermass Fischer-Asia Pte. Ltd. will be working closely with ILUDEST in the future as well, then as exclusive agents for China, Malaysia and Singapore. We would like to express our thanks to both of them for over ten years of successful cooperation and a relationship at all times characterized by a basis of trust and friendship. All contracts and agreements you concluded with i-Fischer Engineering GmbH up to 31 December 2014 pass to ILUDEST Destillationsanlagen GmbH, with all rights and obligations, by way of universal succession as of 1 January 2015 as effective date of the merger. 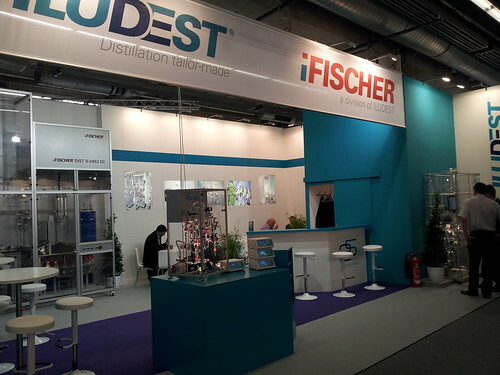 Your accustomed contacts at i-Fischer and ILUDEST will remain at your service as before. We look forward to continuing our cooperation. On December 15, 2014, the Shareholders/Managing Directors of ILUDEST Destillationsanlagen GmbH laid the Foundation Stone for a new building which will house the extension of the Company’s installation and test facilities, a mechanical workshop, together with a three storey office building for the Engineering, Hardware/Software development, Electronic- and IT-departments. The new premises will offer an additional 625 m², for a further improvement of ILUDEST’s, capabilities, and will guarantee our preparedness to meet future requirements at any time. Our team is constantly growing in technical expertise and related skills, and will be more than capable to deal more efficiently with an ever increasing number of requests, while continuously guaranteeing our unique quality of service and performance into the coming decade and beyond. With these defined objectives, dear clients and users, it is not only our aim to meet your demanding expectations, but also to accept the challenge to surpass and exceed them. Christmas time is upon us once again and we would like to thank you for your trust and your continued partnership during the past year. This Holiday Season we again decided to make charitable donations rather than sending Christmas gifts. Becoming effective on August 1, 2014, we are pleased to announce the promotion of two of our employees. Ms. Victoria Haag, member of the ILUDEST-/i-Fischer-Team for almost 6 years, and currently working as Regional Manager Back Office Marketing & Sales, will become Customs Compliance Officer. Ms. Sabine Nebel, member of the ILUDEST-/i-Fischer-Team for almost 3.5 years and currently working as Regional Manager Back Office Marketing & Sales, will become Head of Back Office Marketing & Sales. Congratulations to Ms. Haag and Ms. Nebel for their new positions and best of success from the entire team. Becoming effective on May 1, 2014, we are pleased to announce the opening of our new liaison office “i-Fischer Engineering América Latina” in Concepción / Chile. Our partner there, Mr. Ivo Cabrera Baeza, is providing comprehensive technical support, installation/commissioning, users training, after-sales service and many more in close cooperation with our area representatives to i-Fischer's users community as well as potential clients in whole Latin America, based on his excellent expertise in crude oil analysis. He is also acting as our representative in Chile for both, ILUDEST Destillationsanlagen GmbH and i-Fischer Engineering GmbH. For further information, please see his CV appearing below. We do welcome Ivo to our i-Fischer/ILUDEST team and are proud to have him with us. 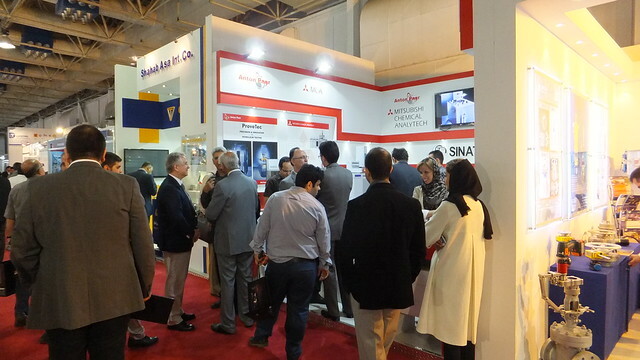 We are delighted to report 2013 as another highly successful year at ILUDEST/i-Fischer. Our group's turnover has crossed for the first time a consolidated sum of EUR/€ 5.7 million. We would like to take this opportunity to pass on a very special “Dankeschön” to our users’ community as well as our representatives abroad for working with ILUDEST/i-Fischer and for having chosen our products and services. To continue on this successful path we feel obliged to ensure that we make every effort to improve our performance further throughout 2014 and beyond. Mr. Stefan Opis, Mr. Wolfgang Hock/Member of the Executive Committee “Camino de la Esperanza Colombia”, Sister Cornelia Bachmann/Member of the Executive Committee “Camino de la Esperanza/Colombia”, the Reverend Georg Klar/Member of the Executive Committees “Camino de la Esperanza/Colombia” and “Johannes-Gemeinschaft e.V.”, Mrs. Angelika Brang/Chairwoman “Johannes-Gemeinschaft e.V.”, Protestant Pastor Birgit Niehaus/Protestant Church Mainaschaff, Mrs. Inge Nickel and Mr. Fred Nickel/”Rollstuhl-Café” Mainaschaff. On September 30, 2013, his Excellency Dr. George Antonysamy, the Archbishop of the Archdiocese of Madras-Mylapore in Tamil Nadu/India, paid a visit to ILUDEST and received a donation for improvement of the pastoral activities in his diocese. This contribution is meant as a foundation stone to build-up a fleet of motorcycles which can be used by local chaplains for a more intense involvement and pastoral care with the Catholic Community in the Chennai area. Mr. Stefan Opis, Mr. Hans Lebahn, the Very Reverend Dr. Paul Julian, his Excellency Dr. George Antonysamy, Mr. Udo Interwies. Merry Christmas and a Happy New Year 2013! Christmas time is upon us once again and we would like to thank you for your trust and your continued partnership during the past year. This Holiday Season we again decided to make charitable donations instead of sending Christmas gifts. Hans Lebahn, Alfred Endres / Mayor of Waldbuettelbrunn, Cornelia Huber / Head of Retirement Home "Ark" Waldbuettelbrunn, Udo Interwies, Axel Hierl / Clubmaster Lions Club Wuerzburg West, Hans Joachim Grassmann / Vice President Lions Club Wuerzburg West, Stefan Opis. The Bavarian Finance Minister of State, Dr. Markus Söder, did the honorific speech, accompanied by a group of VIPs, Mayors, District Chief Executives and Members of the Bavarian Parliament.